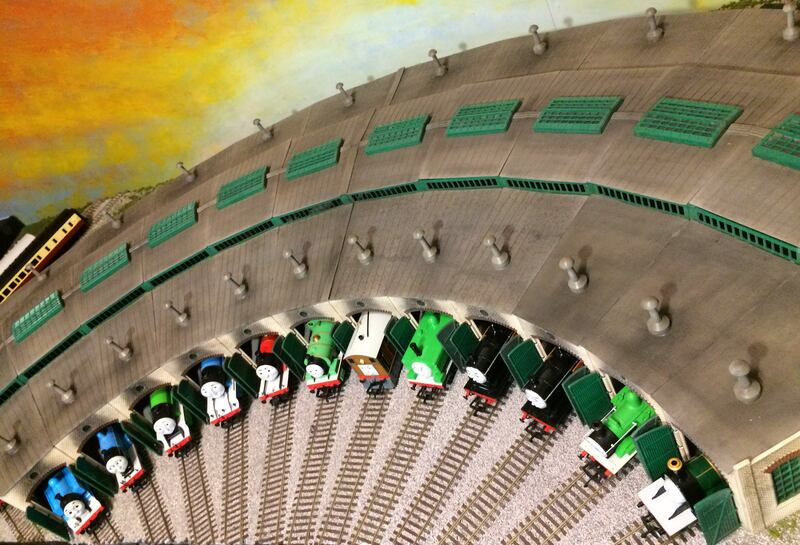 While browsing Walthers, I noticed that they have retail prices from Bachmann listed for them. Rusty is $135, which is cheaper than Skarloey and Rheneas. Not surprising because of Rusty's box-like shape. Paxton is $129... a few dollars behind Edward and Henry. A little bit of a ridiculous price difference compared to other models that came out recently, especially when he is a recolor. No price for the new cattle wagon of the large scale Diesel yet. I imagine we will hear updates on these when the catalog is available. I'm surprised that Paxton doesn't cost a little or equal to Diesel. I saved a $161 dollars for Rusty when he's available. 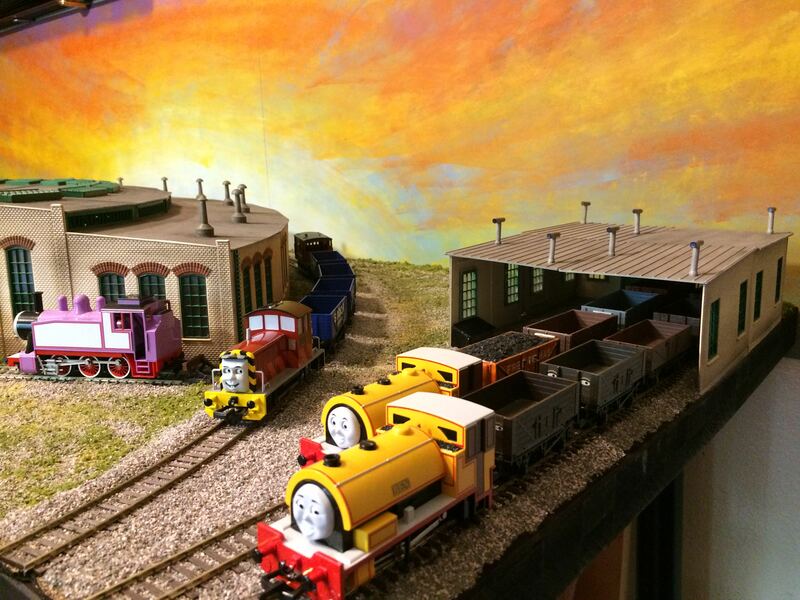 I think that the reason why Paxton is more expensive than Diesel, Arry, and Bert is the alteration of the moving eye mechanism. When looking at Diesel and Paxton from the front, it is clear that Paxton has a narrower face. However, another thing that I noticed is that Paxton's eyes are closer together. Because of this, I am quite curious to see how much the interior eye mechanism differs from Diesel's. 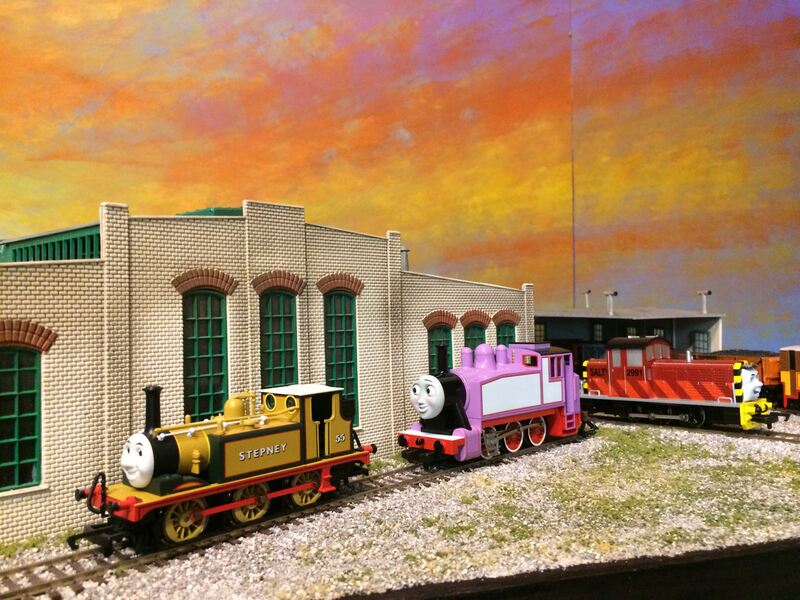 Additionally, if Daisy gets announced, it would be interesting to see what Bachmann would retail her for. Even if it is an expensive price, I am sure that fans would not complain as she is in such high demand. After all, she is the final standard gauge locomotive mentioned in the Original Thomas Anthem . That's actually a pretty good point about Paxton's eye mechanism. Someone actually brought that up earlier, and I completely forgot about that. I'm sure the model will still look really nice like Diesel did and that he will be in other stores for a lot cheaper and reasonable prices. 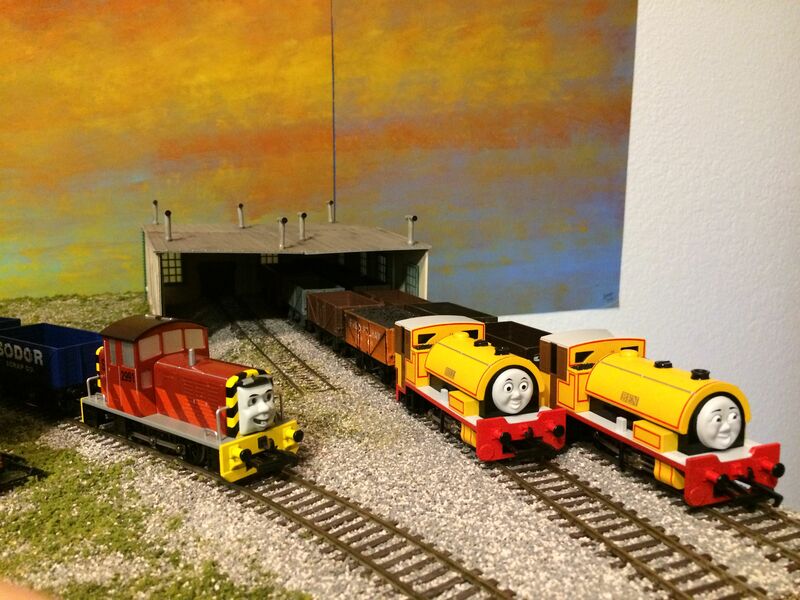 Given the recent price of Paxton I'm going to guess that if we were to get Daisy, she would probably be around $130-140 seeing as how prices of new models keep going up every year. Still got plenty of Thomas stuff to sell including 9 Bachmann HO Thomas locos (the original eight + Donald, all in excellent- to near-mint condition), 3 Tomix N scale packs, and a bunch of other stuff. PM me if you're interested for pictures and prices. Just note that I'll be out of town until Monday, so I can message people but not ship anything out until then. Looking very much forward to these announcements btw. 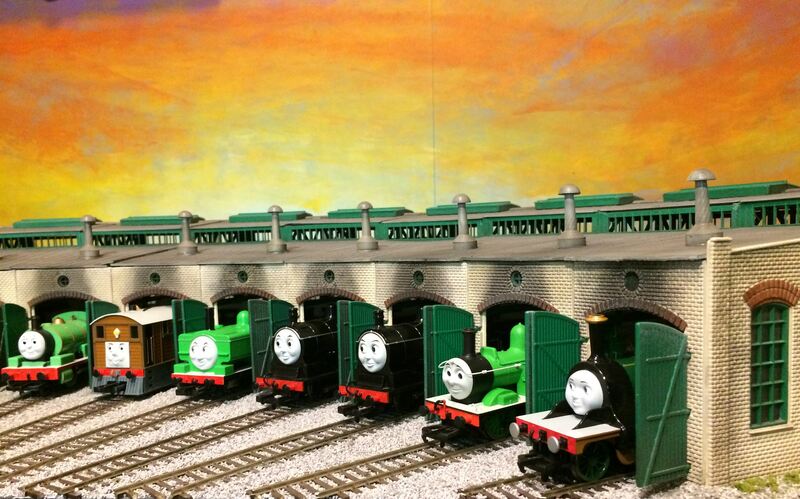 I would be very satisfied with Peter Sam and/or Sir Handel along with proper NG coaches in blue or red, doesn't matter which color to me. I'm hoping for NG coaches also. And maybe a ticket window brake van with the coaches. Or some trucks, flats. I'm not really sure that NG locomotive will come out. Other than the original 6. I really hope we get some more NG stuff, that's my main list. 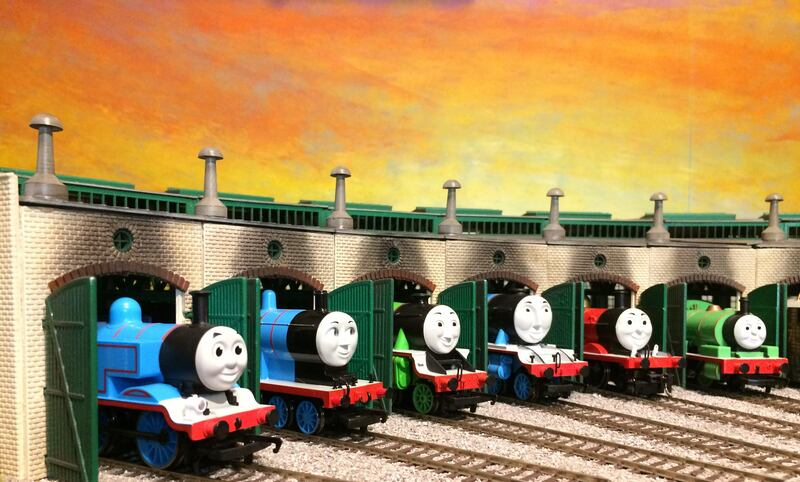 Need some color variety in the engines, so any of Peter Sam, Duncan or Peter Sam would be great. 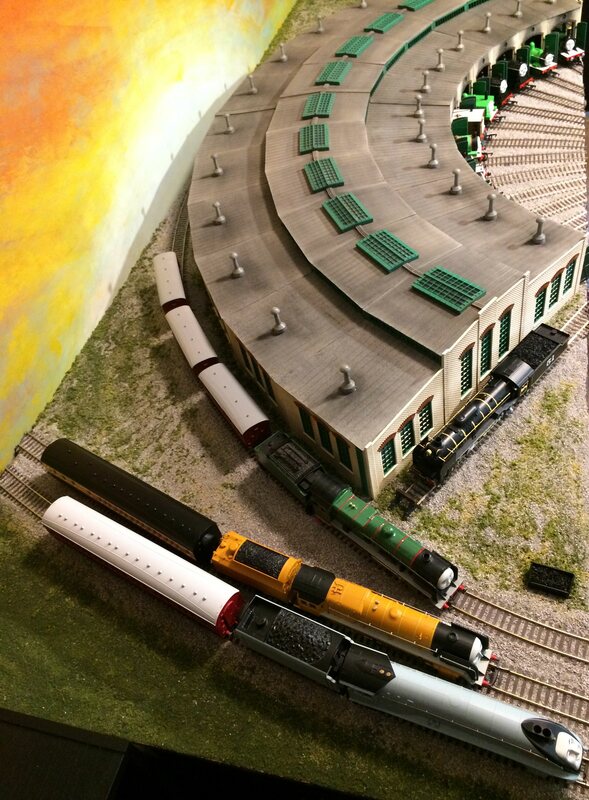 Really need coaches too and any other rolling stock would be welcome. 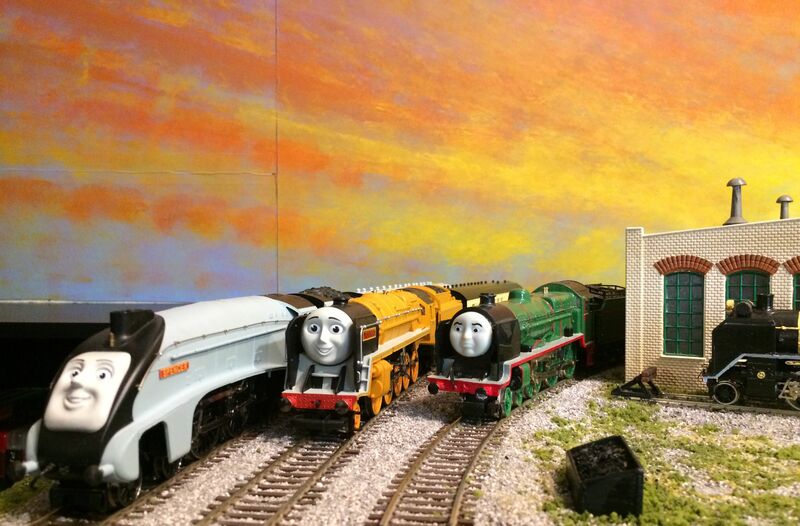 Hi, we need to touch up some paint on our locos, especially Gordon and Henry. 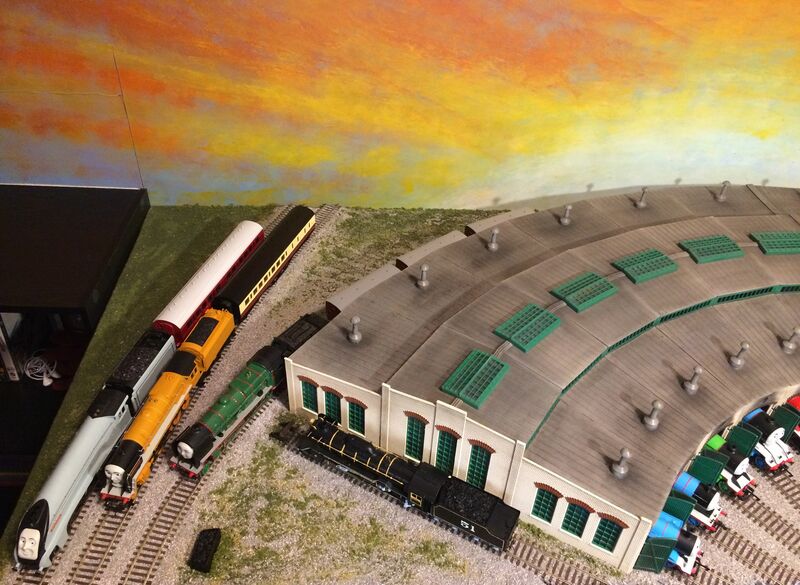 Can anyone help with the name of a good paint brand and colors that match the Thomas line? Many thanks! 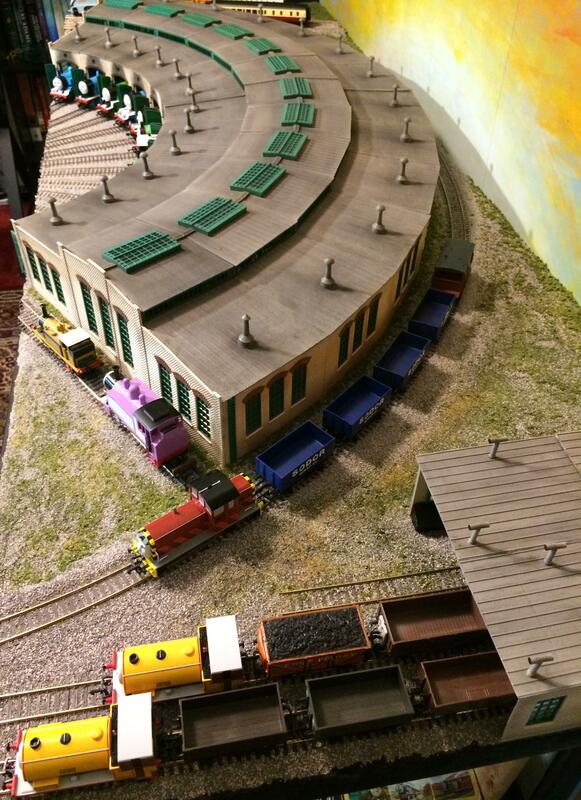 Has anyone converted Bachmann Cranky to CGI? So I've been watching through the complete series discs in order. Just finished Series 7. I noticed episodes were out of order on Season 6 and 7. So, new characters like Murdoch, Salty, Emily etc, just randomly show up and then later on the discs are the episodes that introduce them. Is this a problem on all the disc prints? And does the pattern continue on further releases? I could sit there with an episode list and manually watch in the correct order, but it would become a bit tedious. But, it's fascinating finally seeing all the shows in relatively chronological order! I've only ever had access to sporadic episodes on TV and the best of episode DVD releases we've owned aswell as the specials of course. It's neat to fill in all the holes about characters and special cars and things we've seen in the wooden railway catalogs. If anyone can guess, I didn't grow up with Thomas but started seeing a lot of the show while my son grew up. Hello everyone, first-time poster here. My friend Chaz recommended I join the forums, so here I am. If this is better directed elsewhere, please tell me and I'll gladly post these pics in a more appropriate thread. 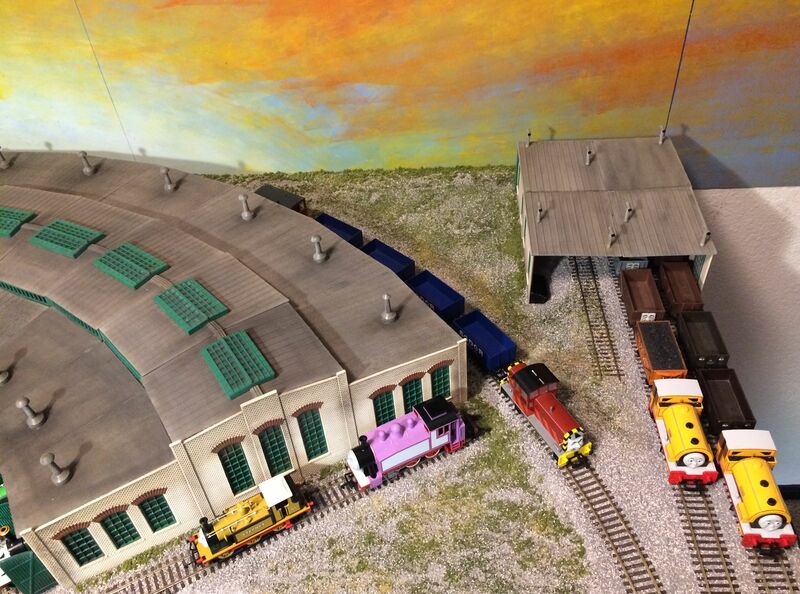 For the last month or so I've been working on a 12-stall version of Tidmouth Sheds, inspired by the 12-track Tidmouth seen in the later RWS books with the TVS visual aesthetic (most notably Series 3-5 and TATMR). 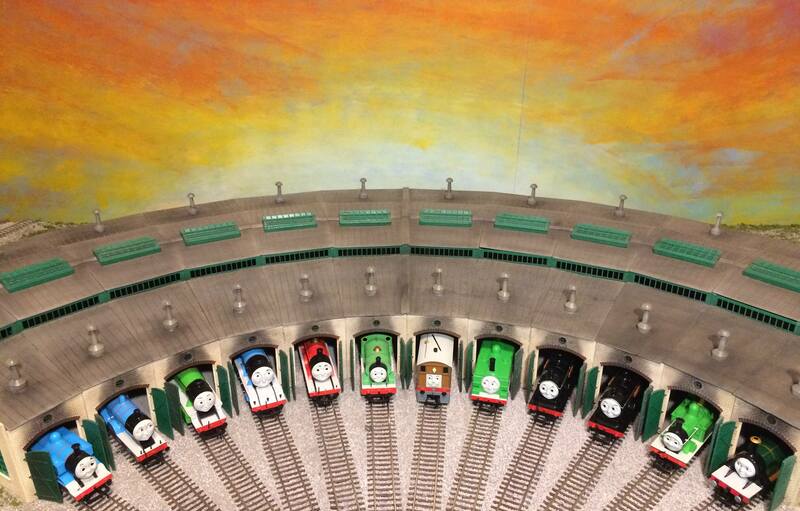 This was made to give my Bachmann engines a permanent home of their own (as well as Hornby, but who's counting. ). I hope you like what I've accomplished. Hey that Salty model looks familiar. Glad to have you join us on the forum, Jay!